A celebrity following and hipster clientele have turned the Palms Casino Resort into one of Las Vegas' most infamous destinations. This contemporary resort boasts extraordinary accommodations, legendary nightlife and a diverse mix of award-winning bars and restaurants across a 95,000-square-foot casino. An array of dining options include Scotch 80 Prime, 24hr Lucky Penny and A.Y.C.E. Buffet. The Palms has played host to MTV's 2007 Video Music Awards, Bravo's Celebrity Poker Showdown, E! 's Party at the Palms, and A&E's Inked, but it's the resort's unique amenities and exceptional customer service that set this boutique property apart. 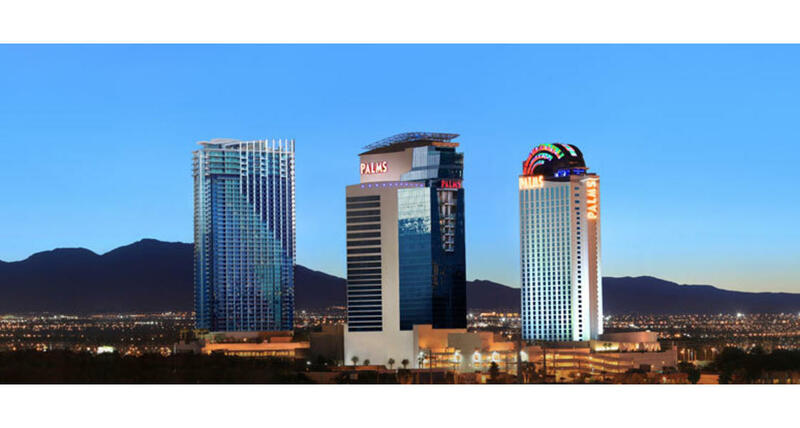 Did you know that Studio at the Palms, a high-tech audio recording venue, has produced several award winning records from artists including P. Diddy, New Kids on the Block, Mary J Blige, Maroon 5, and many more!